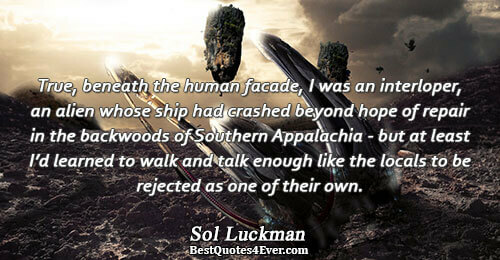 True, beneath the human façade, I was an interloper, an alien whose ship had crashed beyond hope of repair in the backwoods of Southern Appalachia - but at least I’d learned to walk and talk enough like the locals to be rejected as one of their own. 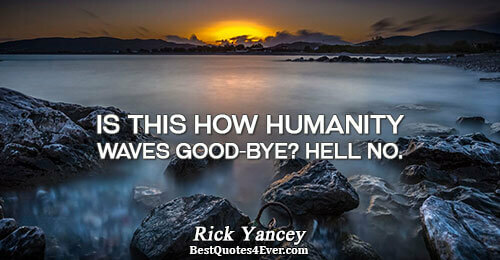 Is this how humanity waves good-bye? 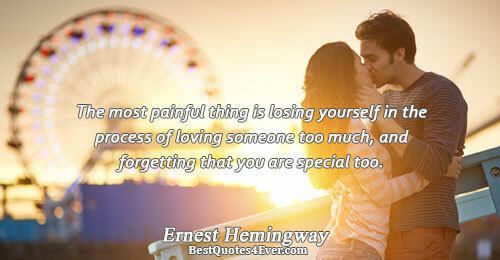 You know how sometimes you tell yourself that you have a choice, but really you don't have a choice? Just because there are alternatives doesn't mean they apply to you. 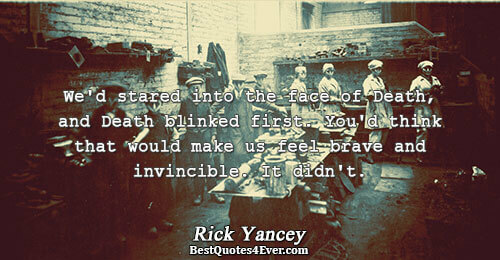 We'd stared into the face of Death, and Death blinked first. You'd think that would make us feel brave and invincible. It didn't. I brought Sammy inside and put him to bed. Said his prayer with him. “‘Now I lay me down to sleep…’” To me, just random noise. Gibberish. I wasn’t sure exactly what it was, but I felt that, when it came to God, there was a broken promise in there somewhere. A forest ecology is a delicate one. If the forest perishes, its fauna may go with it. The Athshean word for world is also the word for forest. 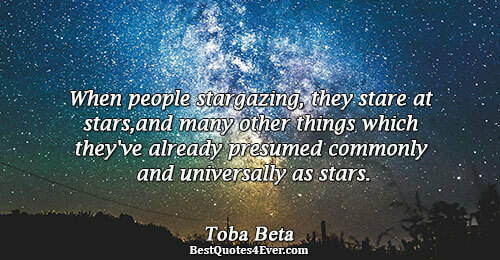 presumed commonly and universally as stars. 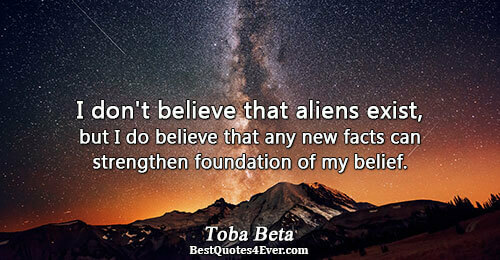 can strengthen foundation of my belief. 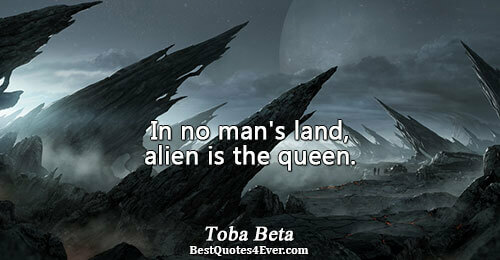 In no man's land, alien is the queen. advanced technology and great civilizations of wilier races. I just can't wait to see their faces at time the truth is revealed. at least not in common mind nor reference. more about 'how' or using 'what' to identify. A skeptical man with a credo, 'Seeing is believing'. 'I can't believe what I just saw'. 'Blessed are they who believe without seeing'. 'This is blasphemy, sinful and evil'. 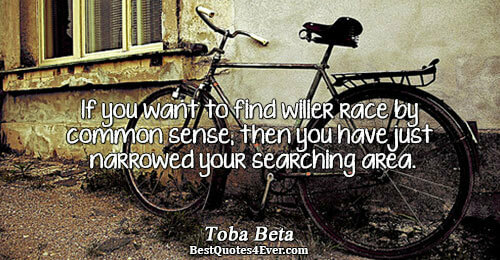 then you have just narrowed your searching area. 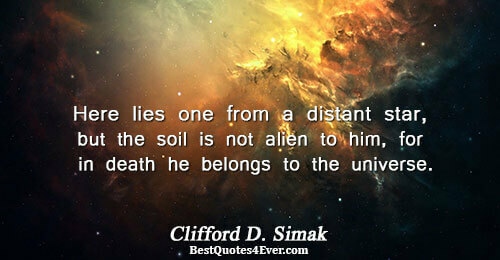 Here lies one from a distant star, but the soil is not alien to him, for in death he belongs to the universe. 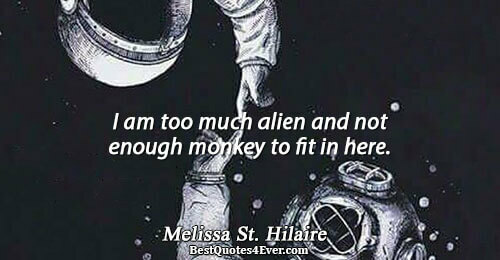 I am too much alien and not enough monkey to fit in here. 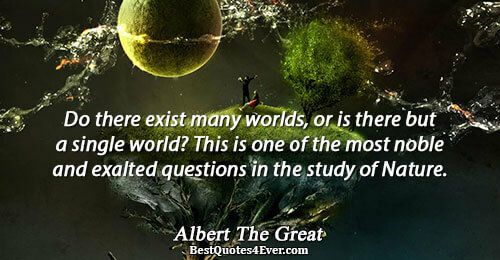 Do there exist many worlds, or is there but a single world? This is one of the most noble and exalted questions in the study of Nature. 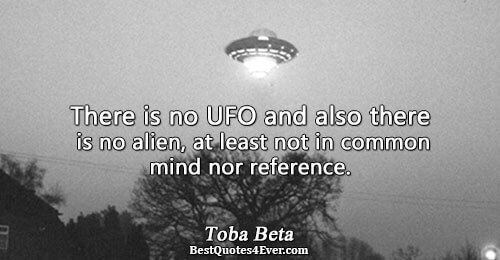 The UFOs were nothing more than the collective fantasies of a stressed out society... The world into which UFOs had appeared was one of under-the-desk siren drills against nuclear annihilation. Society had made a new myth, a communal idea of something outside a species apparently intent on dooming itself. Maybe [aliens] have been in our lives a lot longer than we want to admit. 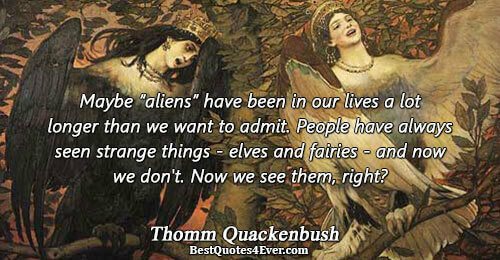 People have always seen strange things - elves and fairies - and now we don't. Now we see them, right? Chaos happens prior to the new order of coexistence. Till one day, history changed.